Each of our directors and missionaries helps others every day live a better and more fulfilling life in America. If you’re interested in learning more about helping others, like each member of our Poblo International family, then contact us today. Rev. 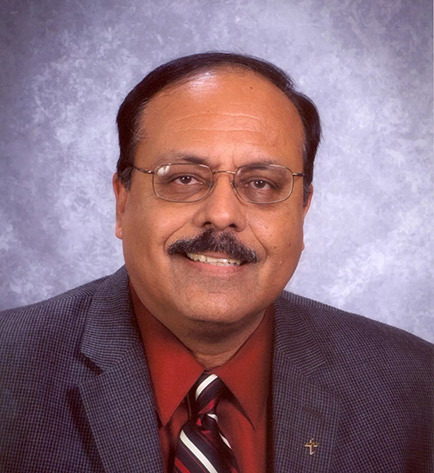 Khurram Khan, POBLO International’s Executive Director, was born in Pakistan and raised in a Christian home. After finishing has a graduate degree, he married Cynthia Khan and moved to Saudi Arabia, where he worked as an engineer and project manager for a multinational oil company for 14 years. In 1995, he joined POBLO as a missionary and served for three years before becoming the Executive Director in 1998. Rev. Khan attended Concordia Theological Seminary in Fort Wayne, Indiana, earning a degree from the Ethnic Immigrant Institute of Theology. He was ordained as a Lutheran pastor in 2005. Under his leadership and his desire to help others, POBLO has expanded throughout North America and has also started missions in the Middle East and South Asia. Rev. Khan together with his wife Cynthia, pioneered an innovative cross-cultural ministry model that is now utilized for establishing International Friendship Centers at churches across the country. Rev. Farrukh Khan, Director of Development, has been serving with POBLO for 20 years. Originally from Pakistan, Rev. F. Khan comes from a family that converted from Islam to Christianity and raised him in the Christian faith. After spending 17 years in Saudi Arabia as an engineer from a Texas-based multinational corporation, where he also worshiped in the Lutheran Church, Rev. F. Khan was called to work as a missionary from POBLO in Toronto, Canada. While there, he helped to plant All Nations Lutheran Church, a primarily Pakistani and Indian congregation. He is a graduate of Concordia Seminary’s Ethnic Immigrant Institute of Theology. He has also received church planting training through the Center for U. S. Missions. Since joining POBLO, Rev. Khan has planted new churches and trained existing churches on how to effectively engage in outreach to Muslims and other unreached people groups. Cynthia Khan serves as the director of Community Engagement of POBLO. She is actively involved in helping churches establish outreach strategies for immigrant and refugee populations. Cynthia also provides awareness training in Islam and outreach to Muslims and other non-Christian populations and manages POBLO’s women’s ministry. 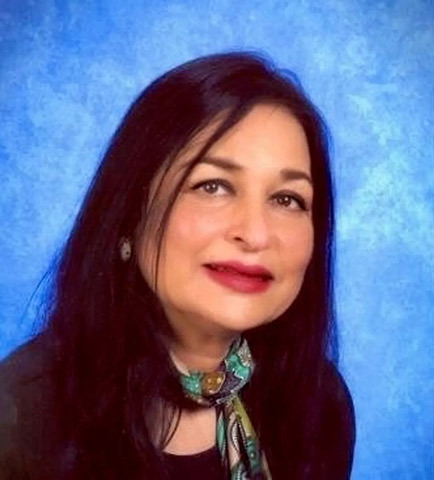 Born and raised in Pakistan and has lived in four countries, Cynthia has first-hand experience interacting with Muslims and people from other Eastern religions. She has a bachelor’s degree in education and psychology, Parish Lay Specialist training from Concordia University, and an English as a Second Language Trainer certification. Cynthia’s culturally diverse background has enabled her to develop novel ideas for cross-cultural grassroots community engagement that she is helping others to implement across the country. Cynthia conducts numerous workshops and has speaking engagements regularly. Rev. Dr. Gary Rohwer is the Director of Missions and Education at POBLO. He has served in Gospel outreach and community engagement for over 30 years. His experience in proclaiming the Gospel, grassroots missions, and church planting include locations such as Cross River State, Nigeria; Lahore, Pakistan; Punjab State, India; Los Angeles; and Detroit. He is a graduate of Concordia Theological Seminary in Fort Wayne, Indiana, where he also received his Doctorate in Missiology in Islamic Studies. Dr. Rohwer has served among a dozen different Muslim ethnic groups, including Arabs, Kurds, Iranians, Sudanese, Indians, Bangladeshis, and Pakistanis, training missionaries and congregations on how to engage their immigrant communities and share Christ’s love in a culturally relevant way. D. Rohwer is currently writing a book for American Christians on engaging in cross-cultural approach. 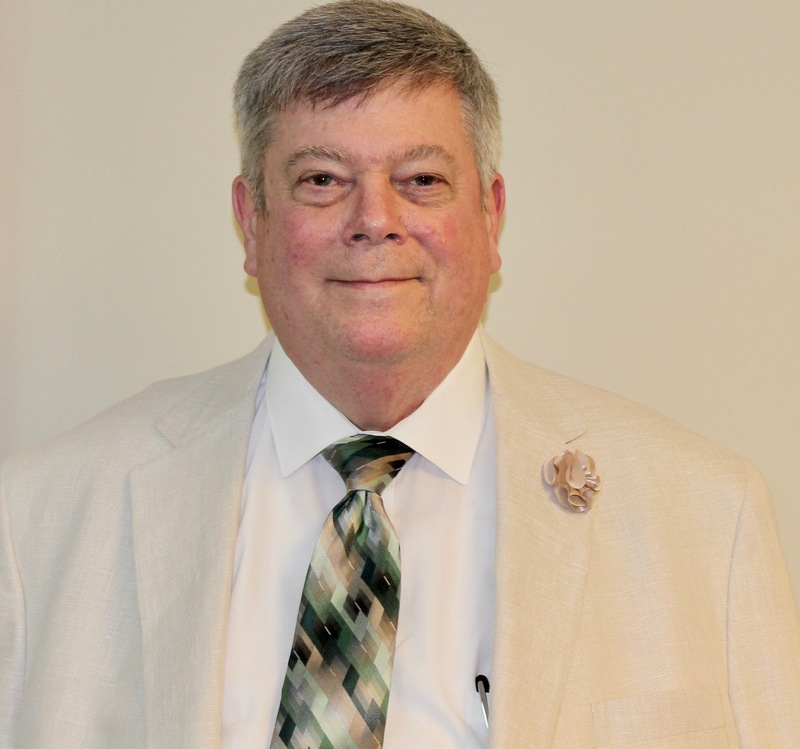 Pastor Mark Girardin is a 1973 graduate of The Citadel (Military College of South Carolina), Charleston, SC and graduated in 1977 from Concordia Theological Seminary, Ft. Wayne, IN. Served for 41 years in pastoral and military chaplaincy ministries and has just retired from fulltime parish ministry (July, 2018) to enter into the exciting ministry of POBLO as an ambassador. Rev. Mark comes with a varied background where he served on the Education Committee, Mission Committee and the Prison Ministry Task Force for the Southern Illinois District. He also served on the Education Committee of the Missouri District and as a Circuit Counselor for the Northern Illinois District. While studying at The Citadel during his 2nd Class year (Junior year), he had a recurring nightmare that he was in combat, in a desert setting, about 28-30 years old, and a sniper fired a bullet at his head. Instead of waking up before dying, he could see the bullet impact in his forehead. This dream occurred on a regular monthly basis till in 1982 he was with the Marines as their chaplain in Beirut, Lebanon and a sniper tried to kill him because he was wearing a cross on his uniform. The bullet missed his head by approximately 2” and he has never had the nightmare since. While at the seminary, Pastor Mark took classes on ministry to Muslims and while serving a parish in the Michigan District he was in dialogue with Muslims through his wife Janie’s work as a nurse at a local hospital. While reaching out to the Muslims there, he was invited to participate in a Christian-Muslim Dialogue at the mosque in Flint, MI. He and his wife Janie firmly believe that the calling of the Church is to reach out to those who are lost with the Gospel message. One of his favorite Bible passages in Acts 1:8 – “But you will receive power when the Holy Spirit has come upon you, and you will be My witnesses in Jerusalem and in all Judea and Samaria, and to the end of the earth.” Pastor Mark is honored to share in the work that POBLO is doing to carry out this Great Commission! 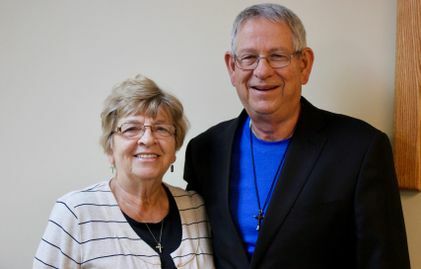 Tim Bickel graduated from Concordia Seminary, St. Louis 1971 and served Lutheran Church–Missouri Synod parishes in Illinois, Alaska, Washington, Oregon, and Michigan until 2008 when he retired. Both as a volunteer summer teacher and since retirement as a contract teacher during school years, he has taught English in Asia. He also co-led a theological seminar in Ethiopia in 2002. For 16 years, he was a volunteer firefighter and designated chaplain in Washington and Oregon. In Oregon, he coordinated and conducted crisis debriefings to help keep emergency personnel in health service. Tim sees himself as a grateful servant of Jesus Christ. He has a passion to be and bring the good news to all. He has cross-cultural experience at home and abroad. And now, he is humbled and honored to join POBLO, bringing together God’s people and foreign newcomers in response to Christ’s Great Commission (Mark 16:15). He urges you to pray for the salvation of the lost, especially Muslims, and to ask what your part is while there is still time. Rev. David Cecil earned his undergraduate degree from Concordia Teachers College in Seward, Nebraska, after which he served as a teacher for two years in Rockford, Illinois. 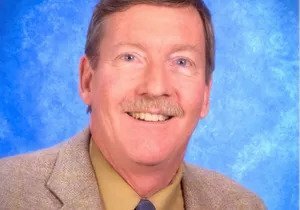 Returning to California, he worked in the secular job market for 19 years in retail management, as a contractor, tax preparer, and securities and insurance agent. After these many occupations, he was led by the Holy Spirit to go back into full-time ministry and graduated from Concordia Theological Seminary in Fort Wayne, Indiana, in 1996. Then served as pastor in Sheboygan, Wisconsin, for six years. He then served as a Ministry Consultant Director of Camp Bethesda, and Director of Religious Life for Bethesda Lutheran Communities, supporting people with intellectual and developmental disabilities with the Gospel until retirement in 2015. Rev. Cecil believes that sharing the precious message of the Gospel with those who do not know Jesus as their Savior needs to be the focus of every congregation’s mission and vision. As the people of God, we have an opportunity to share with a world, that is lost, a living hope in Jesus Christ who gave his life that we might have life and have it abundantly. Rev. Cecil is thankful and blessed to be a part of POBLO International and the work that they do to share the Gospel. Rev. Wayne C. Schroeder graduated from Lutheran High School, St. Louis, in 1961, attended junior college at St. Paul’s College, Concordia, Missouri, and graduated from Concordia Senior College, Fort Wayne, Indiana, in 1965 with a Bachelor of Arts Degree. He graduated from Concordia Seminary, St. Louis, with a Master of Divinity Degree in 1969. Pastor Schroeder has served parishes at Platte Center & Humphrey, Nebraska; Kearney, Nebraska; Lincoln, Nebraska; and Cedar Rapids, Iowa. He served the South Wisconsin District as Executive for Congregational Services, Stewardship, Evangelism and Student Aid and Recruitment from Oct. 2000 until Nov. 2006. In May 2007, he was installed as Assoc. Pastor/School Chaplain at Our Redeemer Lutheran Church in Wauwatosa, Wisconsin. Pastor Schroeder is married to Beverly A. Fischer of Stover, Missouri. Their marriage has been blessed with four children and seven grandchildren. Rev. Schroeder now serves as POBLO ambassador in Wisconsin, where he shares POBLO’s outreach to Muslims in Wisconsin through missionary presentations, workshops on Muslim outreach, and preaching for mission celebrations. Deen Albert was born to a Norwegian Christian mother and Pakistani Muslim father. His mother converted to Islam, and Deen was raised in the Islamic faith for the first eight years of his life. He attended a mosque with his father and an Islamic school, where he learned to face the East toward Mecca and to recite Muslim prayers. After his parents divorced, his mother went back to her Christian roots and helped Deen to understand the God of the Bible. He was baptized into the Christian faith as a child and gave his life to Jesus. Deen attended Concordia University in Seward, Nebraska, where he enrolled in the pre-seminary program. Now, he is an executive in the trucking industry and sees his work as a ministry in its own way. Even before Deen connected with POBLO, he had a strong desire to share the truth about Islam among churches. That and his love for the Gospel led him to POBLO. 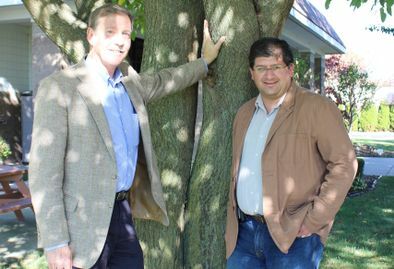 Deen represents POBLO to churches and individuals in his home state of Indiana. 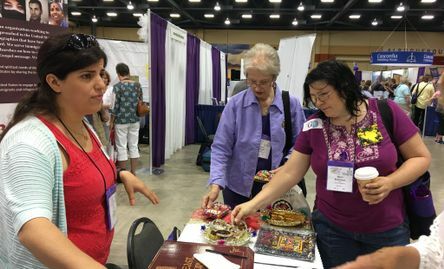 Hady and Vickie Matta are connecting with many immigrants in St. Louis. They work along and help others with Rev, Duane Maas in taking the Gospel to the growing number of Muslim people in the greater St. Louis area. Julie is originally from Pakistan, and has lived in Houston, Texas, for the past thirteen years. She is married with two children. 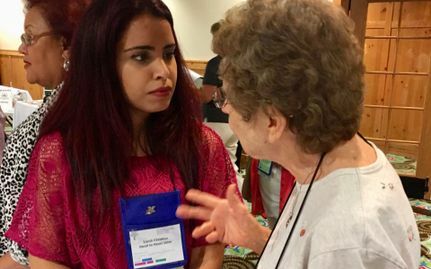 Julie feels that the Lord has given her the heart and burden to share the Gospel message with new Americans, especially those who do not know Jesus Christ as Lord and Savior. 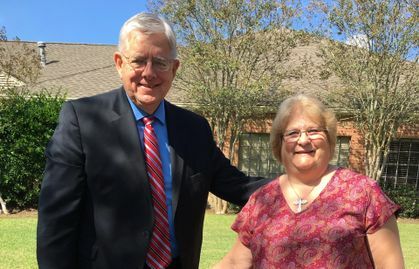 Presently, Julie is working with POBLO Ministries as a missionary in the Greater Houston area. God is providing her with daily opportunities to share the saving message of Jesus Christ. 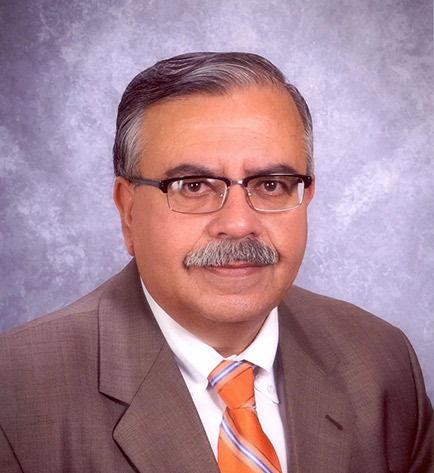 Originally from Palestine, POBLO Missionary Nader Alaraj started his career as a medical technologist, working for 15 years in the medical field in Omaha. He met his wife, Georgette, on a visit to Palestine. Georgette holds a bachelor’s in elementary education, and taught for six years. They were married and moved back to Nebraska. Both were raised in Christian homes. Although, Nader felt a personal calling to serve the Lord shortly after arriving in the United States in 1998. 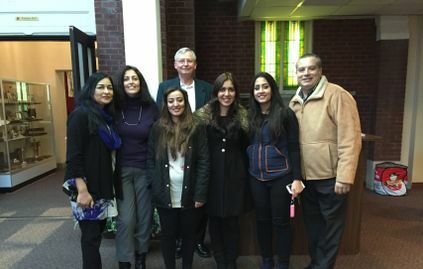 Nader was among the leaders who organized the Arabic Christian Fellowship of Omaha. Both Nader and Georgette love sharing the Gospel with others in practical ways. They will begin their outreach to non-believers in the highly diverse city of Bloomington, Minnesota. Joy Markus gained a Master’s degree in Islamic shariah law, going on to establish a high school department of the Islamic religion. One day in class, a student asked a question about Allah, which Joy could not answer. This caused her to search, eventually doubting Islam. A fellow teacher, who was Christian, gave Joy a Bible to read, connecting her to a pastor who answered all her questions. Joy was convinced of the truth, but could not face the challenge of losing her career, her family, and a secure life in order to follow Christ. Sharing her faith in Christ with family brought her threats of death. 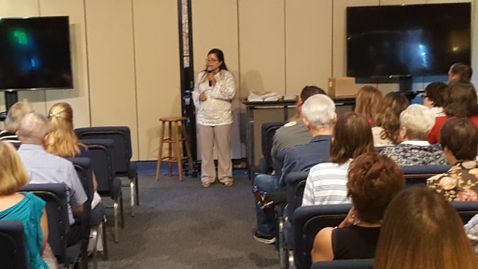 Miraculously, with God’s help, POBLO received Joy as a missionary in training, as she now shares Jesus’ love with non-believers in the Metro-Detroit and via the internet. John and Mariam Gayed are originally from Egypt, where they spent 10 years on the mission field training and serving missionaries and working among Muslims. John was born in a Christian home, but did not truly receive Jesus until he was 16 years old, after hearing a preacher in Egypt share his story. Mariam learned of Jesus through her uncle at a time in her life when she was contemplating suicide because of hopelessness. She confessed her faith in Jesus as her Savior — a decision that gave her hope and changed her life. 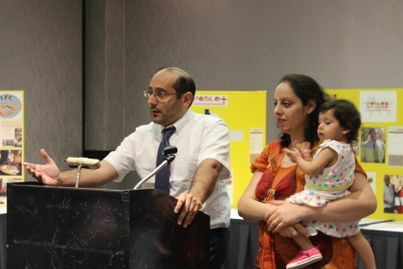 God called them to the U.S. in 2011, where they are continuing their mission work among Muslim populations in Rochester, Minnesota with POBLO. Sarah Christian started questioning her Islamic faith when she was seven years old until one day, she started searching for answers to her genuine questions, but no one could help her. She got connected with a Christian person via Facebook and started talking about Christianity. She found most of the answers to her questions through online chats with this person and reading the Bible online. Later, she got connected with a missionary in Michigan via Skype, which led her to confess faith in Jesus Christ as her true Lord and Savior. Her family started noticing the change in her life, they also saw her drifting away from Islam, which caused a huge problem for her. Through continues prayers from her church family and God’s help, she miraculously escaped her dangerous situation and threat to life! Sarah now serves with POBLO International Ministries. Originally from Senegal, Ebou Faye has been living in Milwaukee, Wisconsin, for more than 20 years. He had some exposure to the Bible at a Christian school in his home country, but it wasn’t until 2007 that he truly began to explore the Christian faith. Through a food bank at a local church in Milwaukee, Ebou began to connect with the Christians, and several pastors, including Rev. Dr. Gary Rohwer of POBLO, helped him to understand the differences spoken about Christ in the Quran and the Bible. Through this process, he confessed his faith in Christ as his only true Lord and Savior. 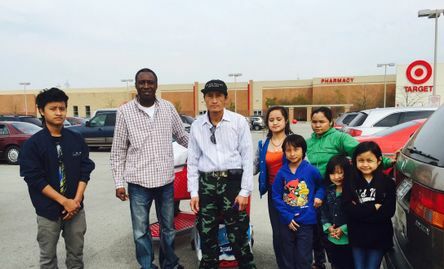 Ebou now serves as a POBLO missionary in Milwaukee, sharing the Gospel with others. He primarily interacts with African Muslim immigrants, including those from Somalia, Kenya, and Sudan. Adreel George, a missionary for Kettering/Dayton area of the Ohio District. Adreel came from Pakistan and moved to USA to pursue Masters degree in Health Administration. He is married to Sahreem, who was a Lawyer in Pakistan. Adreel had been reaching to fellow students at the college campus the “Campus Crusade for Christ” as a volunteer, had a heart for sharing Jesus with those who did not know Jesus as Savior and Lord. In Ohio, he is working under a Mission Action Team and is in partnership with POBLO ministries where the first IFC-International Friendship Center will be starting. Adreel is based at Concordia Lutheran Church – Oakwood Ohio. 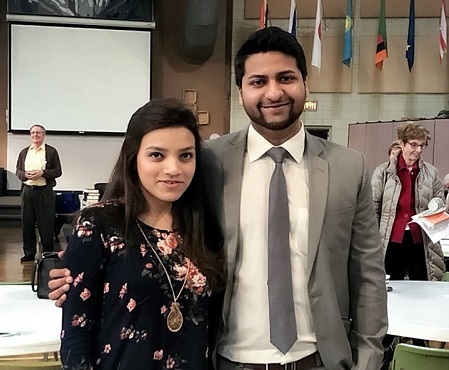 We would like you to pray for Adreel and Sahreem as they reach those who do not know Jesus as the only true Lord and Savior in the Greater Dayton area and also for MAT-Mission Action Team that has taken this great mission of our day and age. Please continue to pray for POBLO International as we are educating, training, equipping and leading this great mission along with MAT. 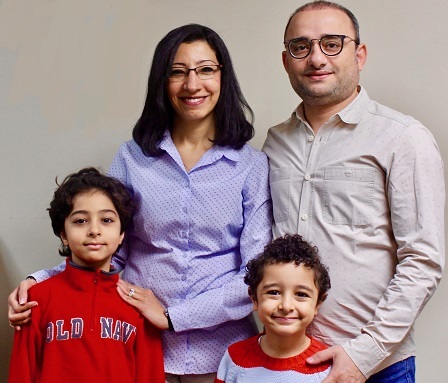 POBLO International would like to share the good news that the new missionaries for Dublin/Columbus, Ohio Joseph, Heba Beshai and their two sons Davey and Ryan have arrived from Cairo, Egypt to Dublin, Ohio. Joseph and Heba have worked as missionaries in the U.K, Switzerland, Sudan, Egypt and so many other nations. Heba did her studies in Hawaii for some time and speaks very good English and was an English language teacher in Egypt. Dublin/Columbus ministry is starting in partnership with the area churches, especially St. John Lutheran Church in Dublin, Beautiful Savior, Powell and Zion in Columbus; as well as under the great leadership of President Kevin Wilson who has worked and blessed this project. Ohio District is a partner in this ministry. Various statistics and our own survey assesses that there are around 147,000 Muslims with 43,000 from Somali background in the area, apart from a very high Indian, Hindu and Sikh population, especially around Sawmill Road in Dublin. 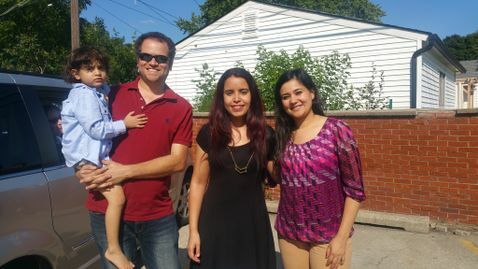 Lord has blessed us with two wonderful, experienced Arab missionaries who will work with all people groups. We would prayerfully work towards starting International Friendship Centers in multiple locations in order to start programs that would bring All Nations to the church and the church to all nations. 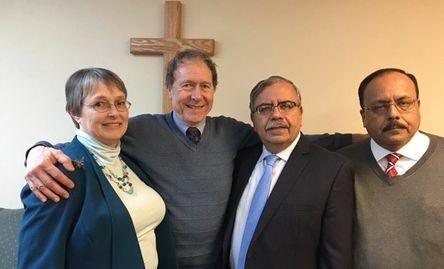 We would like to request you to please pray for POBLO, for Ohio District, churches in the Greater Columbus area/Dublin, for the Muslims and Hindus in the area and above all for Joseph and Heba, Ryan and Davey.